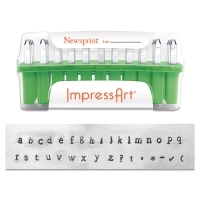 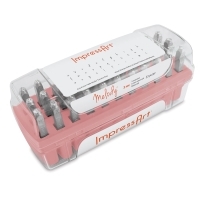 ImpressArt Letter and Number Stamps are designed for stamping soft metals such as aluminum, pewter, copper, brass, and nickel silver. 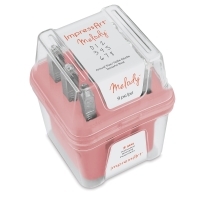 They're great for jewelry making, crafts, and other projects. 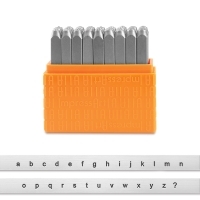 Basic Letter and Number Sets — A perfect entry level value option for stamping beginners. 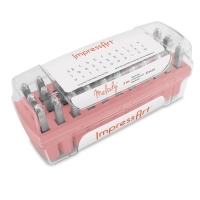 In order to prevent rust, these stamps are lightly coated with oil. Wipe them down with a dry paper towel or rag before using. (Do not use water.) Fonts include Bridgette (3 mm) and Sans Serif (1.5 mm). 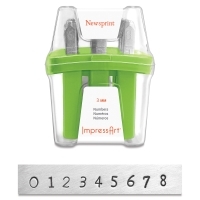 Letter and Number Sets — These stamps are manufactured to exacting standards to ensure exceptional performance. 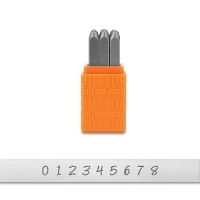 Each stamp features an oil-free coating to protect against rust and is labeled on the side for easy identification. Each set comes in its own handy storage case with a labeled slot for each stamp. Fonts include Melody (3 mm) and Newsprint (3 mm).